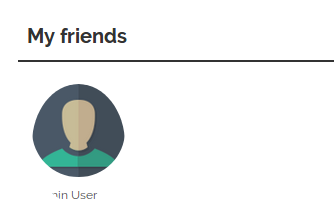 On the friends block on a profile page, the circular egg shape shows part of the profile icon and only part of the persons name, making it hard to identify someone you are looking for. I could replicate this for the "Modern" theme. It seems that the entire field is in the shape of an egg rather than just the icon. It is all fine when using the default and raw themes for example.